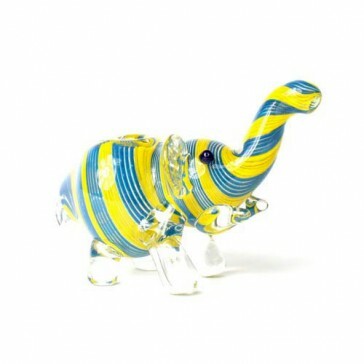 A beautiful hand blown glass pipe shaped like an elephant. A beautiful hand blown glass pipe shaped like an elephant. The bowl is in his back and the spout through his trunk. So pretty we've got one as an ornament in our living room!